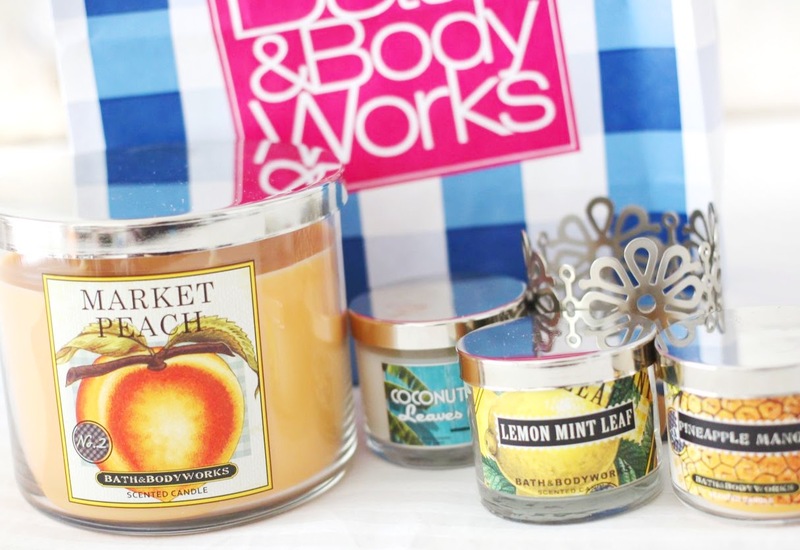 I got some candles & a candle stand at Bath & Body Works in LA. 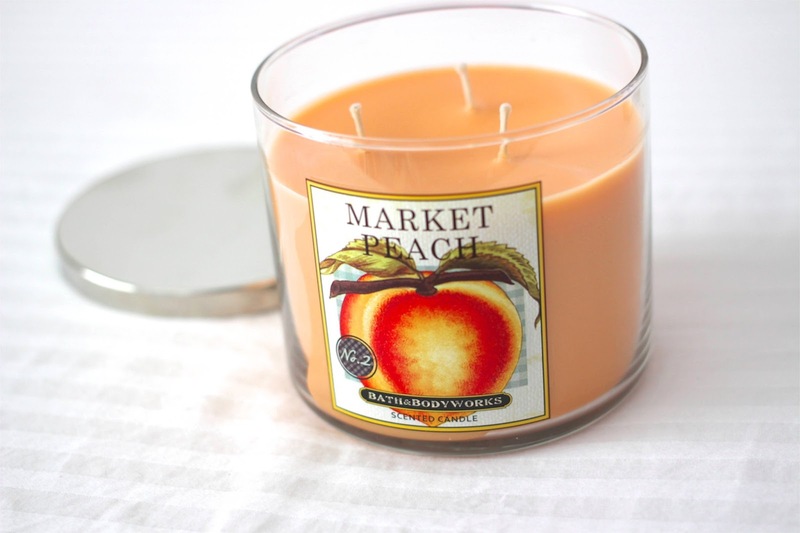 Fresh from the stand peaches strike a juicy note in a blend of vanilla featuring hints of citrus and rasberry. 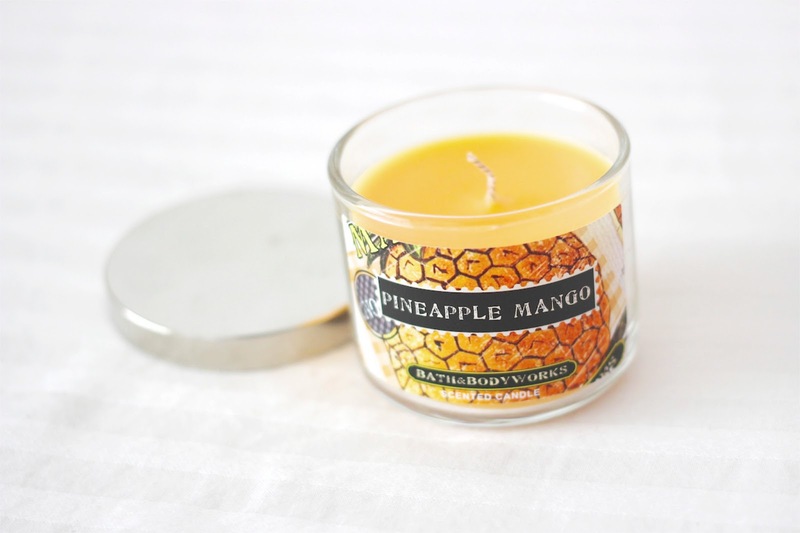 Tantalizing tropical pineapple is the perfect partner for luscious mango in a fragrance rounded our by a hint of warm vanilla. 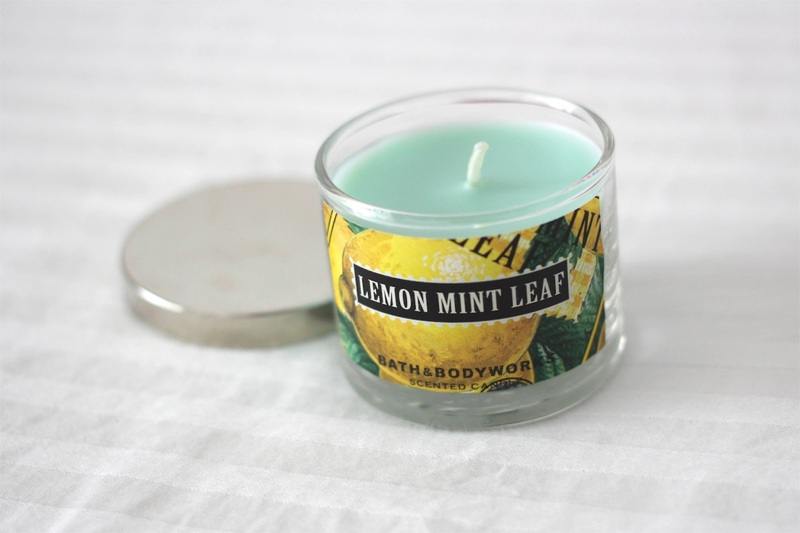 Freshly cut lemon balm and spearmint leaves give a refreshing lift to a blend of vetiver and citrus. Be transported to the tropics with this fusion of juicy tangerine, papaya, and jasmine that gives way to soothing coconut and vanilla notes. 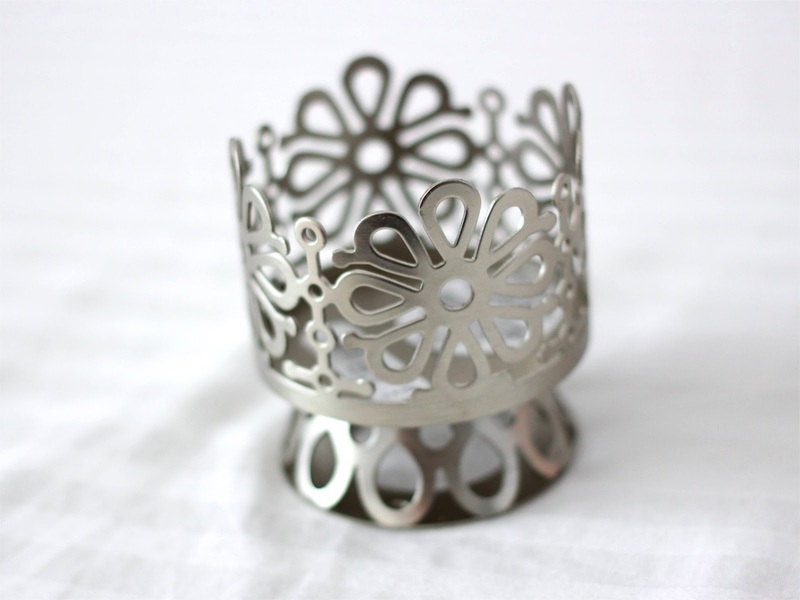 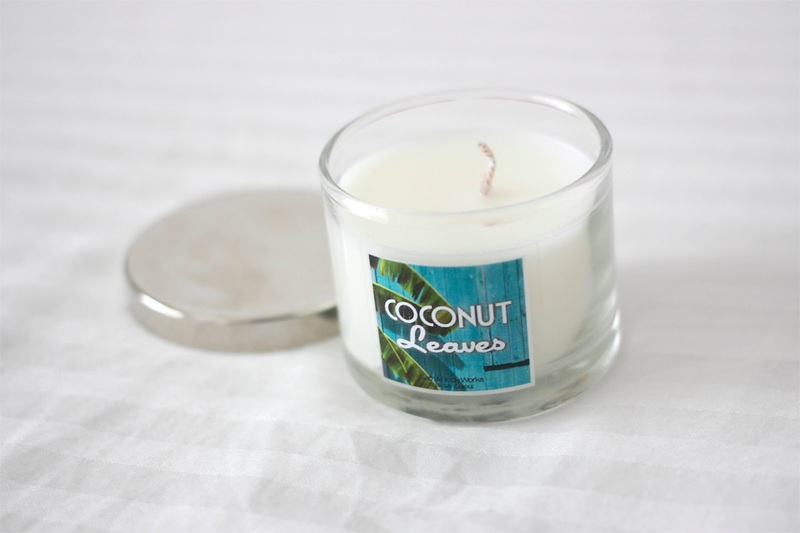 This is good for 1.3oz candles. 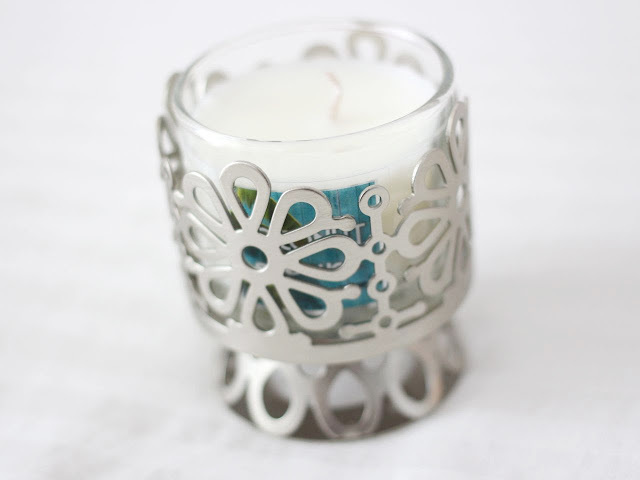 I love their candles...these scents definitely have me tempted, I may have to stop by my bath&body works store soon.